The Gopal Family is heading to the magical Mount Kilimanjaro! Standing at 19,340ft/5895m, Mt. 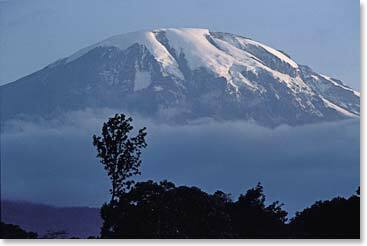 Kilimanjaro is the highest point in Africa and one of the 7 Summits. Come join the climb as our dispatches document their journey from the plains of Tanzania, through tropical rainforests and dry alpine deserts, to glacial artic conditions. The family will then embark on six action-packed days of Safari. This trip will offer the chance to explore Tarangire and Serengeti National Parks where Africa’s diverse wildlife will be enjoyed. August 18, 2012 – Party time! August 16, 2012 – Gopal Family Reached the Summit of Kilimanjaro! August 10, 2012 – Off to the Mountain! August 9, 2012 – The Gopal Family Arrives!